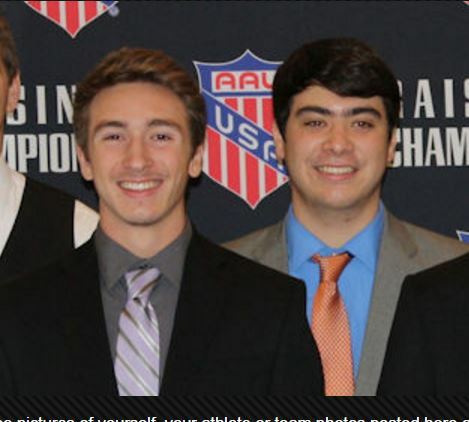 BALTIMORE, Md.—Maryland RBI Baseball players Garrett Corry and Connor Graham recently earned Maryland AAU Academic All-America honors for excellence in academics, community service as well as athletics. Corry was vice president of the Model United Nations Club and member of the Support Our Troops Club and received the Presidential Scholarship at Gonzaga. He worked in a homeless shelter and soup kitchen, participated in Food and Friends community service bringing food to the less fortunate, volunteered for the Knights of Columbus chapter monthly breakfast, performed snow removal for emergency care centers. Corry will attend the University of Maryland and plans to play intercollegiate club baseball. Graham was a member of the National Honor Society, National Academy of Finance, Future Business Leaders of America, The Academic Team, and Founding President of the Chess Club, and received the Excellence in Accounting and Excellence in Physical Education Awards. He donated his time to various service projects, including Toys for Tots, placing holiday wreaths at Arlington National Cemetery at the graves of veterans in remembrance of their service and sacrifice, Special Olympics, annual food drives, public schools landscaping and clean up, shoveling snow, and helped his local Little League umpiring and working concessions. He also volunteered in association with the Northern band working concessions as a fundraiser at games of the Minor League Baseball (MiLB) BOWIE BAYSOX affiliate of MLB’s BALTIMORE ORIOLES. Graham is committed to attend Virginia Wesleyan College and play baseball.